After a terrible oil spill in Santa Barbara California in 1970, a United States Senator, Gaylord Wilson, initiated a “national teach-in on the environment” in an effort to support a natural, healthy sustainable environment. In1990, Earth Day went global, mobilizing 200 million people in 141 countries and lifting environmental issues onto the world stage. Earth Day in Canada is a national charity that was designed to connect young people with nature and to build resilient, safe, and active communities. Through the EcoKids program and the EarthPLAY initiative, school-aged children and youth are encouraged to get outside and interact with the environment. The underlying intention of Earth Day is to help young people develop a caring and appreciative enjoyment of their environment in the hopes of instilling a life-long intrinsic sense of sustainability and conservation. Feedback from Toronto Public Schools on the OPAL (Outdoor Play and Learning) Project. These videos highlight the opportunities to get students outside in all weather and engage in fun and learning with a unique twist. It would be a great idea to show these videos in a staff meeting to promote Earth Day! Also, Earth Day Canada provides an excellent opportunity for your school to participate in the official OPAL (Outside Play and Learning) experience. 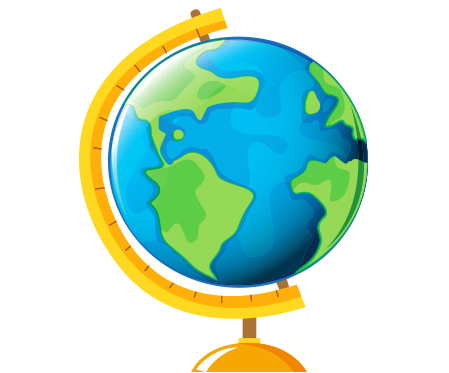 Using a Globe or world map, locate your city or town. From that point, expand to show the province or territory where you reside, the country of Canada, the continent of North America, and finally, the world. Point out major oceans and Canada’s major lakes and rivers and the vast expanse of our territories. What did you notice about our country of Canada? Discuss your particular location. Is it urban? Rural? Does it have parks and play spaces? Does it have any farming? Are there places to swim and fish? Explain that we are so lucky to live in Canada, as it is full of natural resources. Ask students to tell you what they think “natural resources” means. Discuss responses. Remind students that it is very important to keep our surroundings clean and safe so that we can enjoy them for a long time. 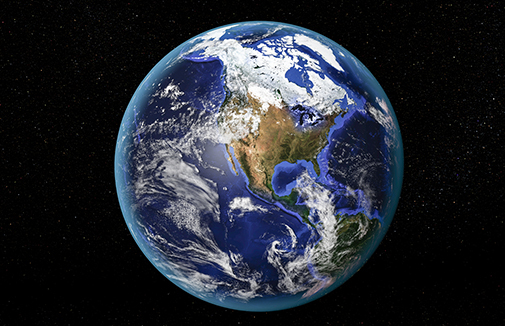 View the following YouTube video version of the song, “We’ve Got The Whole World in Our Hands.” Make your own version. Practise, add actions, and sing in an assembly marking Earth Day! Alternate idea: After discussing conservation, take your students on a nature walk and ask them to make lists or drawings of all the “wonders of nature” they see on their hike. When you return to the classroom, discuss how important it is to preserve the natural environment, not only for them but also for the future. Review the three “R’s” (Reduce, Re-use, Recycle), asking students to explain and give examples of each of the 3 R’s. Why do you think these 3 R’s are important? What do you and your families do to reduce, re-use and recycle? Talk about what your school does to follow the three R’s. Do you have recycle bins? Are they clearly labeled? Are they located both inside and outside? Do you have a “litterless lunch and snacks” policy? Do the taps in your washrooms turn off automatically? Does everyone remember to turn out the lights when nobody is in the classroom? What else does your school do to Reduce, Re-use and Recycle? Ask students what happens if they forget to practise playing a musical instrument, learning a new skill, or playing a new game. Explain that people sometimes forget things if they are not reminded to do them. Using the 3 R’s is the same thing. We hear about it often and most of the time we try to follow the rules but sometimes we get lazy,or simply forget. Have students work in small groups to remind everyone in their school that it is important to Reduce, Re-use and Recycle at school, at home, and in the community. Students may select any of the ideas listed below (or another idea if they want) that will remind everyone in the school to practice the 3 R’s. Make a poster that clearly illustrates what goes in each recycle bin and place it above the bins. Offer to pick up and sort the school recycle bins after snacks. Make a large checklist of the 3 R’s and place it in the hall, at the office or in the front foyer of the school. Learn a song about the 3 R’s and sing it in an assembly. Go here for ideas. Add actions! Write 5 announcements to remind students in your school to Reduce, Re-use and Recycle. Read one on the public address system every morning of Earth Week. Prepare a short commercial or skit demonstrating the importance of Reducing, Re-using, and Recycling. Close by congratulating students on taking an active part in helping to keep the planet Earth healthy. Review the introduction to Earth Week with students and ask them to share what they do in their school, homes, and communities to consume less. Explain that the second part of the 2018 theme for Earth Day talks about playing more. Ask students why they think these words have been added to this year’s theme. It is important to connect with nature in order to truly care about it. Being outside and enjoying free play is a good way to learn about the environment. Exploring local habitats helps people to care about natural resources and the animals that inhabit our surroundings. Invite students to plan a scavenger hunt with a buddy class in a younger grade. Prepare by noting various items around the schoolyard including both man-made and natural elements of the space. Form groups from the younger class and assign helpers from your class to accompany each one and guide them in their quest. Establish a “Home Centre” where groups will receive the scavenger hunt list and return with their information or items. You may wish to make “I care about the Earth” ribbons or buttons and pass them out to students as they return. Find three examples of plant growth. Write down where you found them and draw a picture. Where is the area that has the most sunshine in our schoolyard? Describe it. What man-made structures have been added to our playground that might help kids to get some exercise? List or draw three. Bring in one piece of garbage (gloves will be needed for this) and explain which bin it should go into. Can you find two small stones anywhere on the playground? Bring them to the home centre but remember where you got them. What did you learn about the environment in our schoolyard with this activity? What do you think the younger students learned? Why is that important? What human-constructed items have affected our schoolyard? Do you think this is a good thing? Why? Close by reminding students that they are ultimately responsible for taking care of their environment. The activity they planned and carried out was not only fun but was an excellent way to connect kids and nature.